Samsung is trying to fend off a rising global threat from Chinese rivals with new cheap smartphones, targeting them first at urban youth in India's fast-growing market. (CNN) - Samsung is trying to fend off a rising global threat from Chinese rivals with new cheap smartphones, targeting them first at urban youth in India's fast-growing market. The South Korean company had dominated India since 2012 but was toppled last year by Chinese rival Xiaomi. Its position as global market leader is also under threat from another Chinese competitor, Huawei. On Monday, Samsung unveiled two new devices in its flagship Galaxy series — the M10 and M20. The cheapest model will cost just $112 in India. Samsung said in a statement that the smartphones were "designed ground up in the country for young millennials." They'll be available in India from February 5, before being rolled out in other countries. Samsung did not give a timetable for the global launch. Chinese brands like Xiaomi, Oppo and Vivo have made huge inroads in India largely thanks to their lower prices, a major selling point in a country where the average annual income is less than $2,000. Xiaomi accounted for 28% of the market in 2018, compared to 24% for Samsung, according to tech consultancy Counterpoint Research. China's Huawei has said it expects to overtake Samsung as the world's biggest smartphone seller by 2020. Samsung already offers a cheaper device in India — the basic Galaxy J2 Core sells for about $84 — but the new models will offer more choice at the lower end of the market. Samsung says the Galaxy M series will have better cameras and longer battery life. A 16GB M10 costs 7,990 rupees ($112), while the top-end M20 costs 12,990 rupees ($183). That's a fraction of the price of the company's top models like the Galaxy S9, which costs more than $800 in India, and broadly in line with the country's average smartphone selling price of about $167. Price is one of the main reasons Apple has struggled to gain a foothold in India. The US smartphone maker has tried to get around India's high tariffs on imported devices by manufacturing some older iPhones locally, but still has barely 2% of the market. Those locally-produced iPhones cost more than $250. 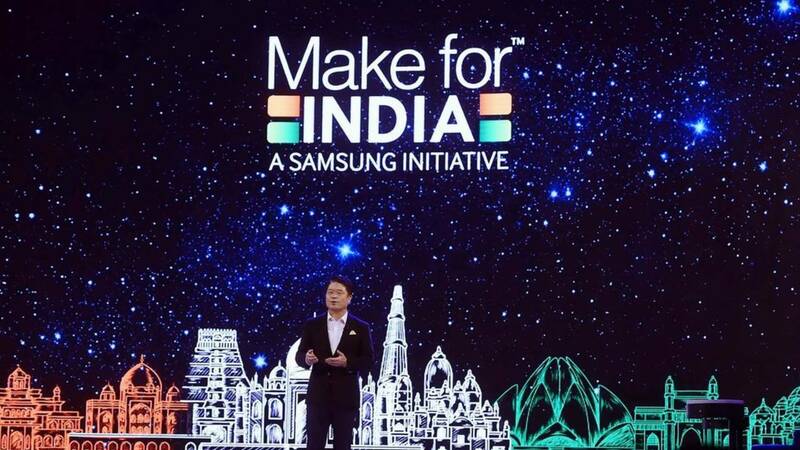 Samsung, like Xiaomi, has invested billions to manufacture more smartphones in India, unveiling what it claims is the "world's largest mobile factory" near New Delhi last year. The prize is a tempting one. India is already the world's second largest smartphone market behind China, but around 60% of its 1.3 billion people still don't have access to the internet. As that rapidly changes, Samsung will be hoping its new smartphones help it fend off Chinese rivals and grab a bigger piece of the pie.